Our unique Cake Stands have fast become the centre piece of Weddings, Birthdays, Civil Ceremonies, Corporate Events, School Proms, Xmas Parties and many more themes. A new dimension in cake display and presentation, designed for today’s celebrant who desires a unique and classic style of cake display. 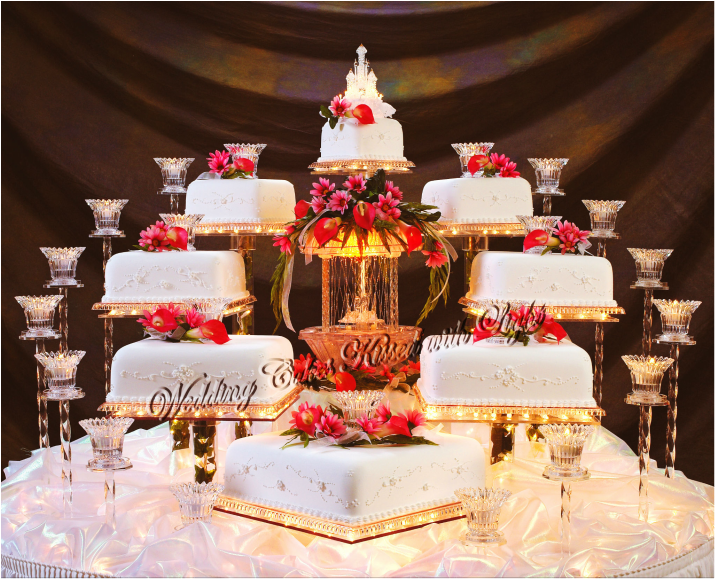 Our double plate design allows for the cake to be removed leaving the illuminated Cake Display System, fountain, flowers and candles to remain on the cake table as part of the elegant reception decor. Our Cake Stands adds a truly spectacular starting, finishing touch and an extra special memory to your event for many years.